The Irish European Breeders’ Fund has named Joe Foley of Ballyhane Stud as their Deputy Chairman. Joe replaces John Osborne after he took up the positon as CEO of HRI Racecourses. Joe will work alongside John O’Connor of Ballylinch Stud who is the current Irish EBF Chairman. 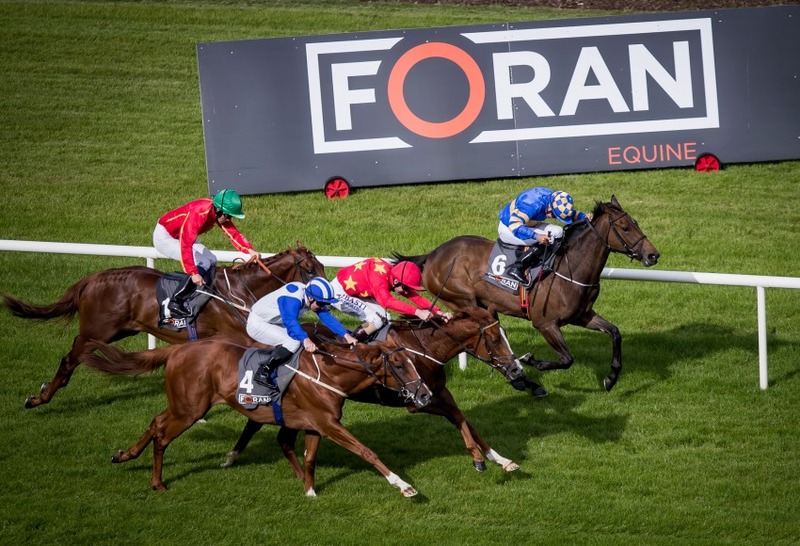 A full field of 16 will line up in the €120,000 Foran Equine Irish EBF Auction Series Final at Naas on Sunday after this morning’s declarations stage, including a first British runner in the race with Apple Anni set to represent Mick Channon. Among the leading fancies will be Dermot Weld’s Yulong Gold Fairy, who won a race in the series at the Galway Festival in the familiar Zhang Yuesheng silks and will be reopposed by Quizical and Captain Vancouver who followed her home that day. Quizical will be representing Sheila Lavery who won the inaugural running of the Auction Final in 2015 with Sevenleft. Chris Hayes, who won the race last year on board Kevin Prendergast’s Trevanna, teams with the trainer’s nephew Patrick this time around to ride Red Persian, who followed home one of Europe’s top juveniles in Beckford in a series qualifier at the Curragh in May before winning the Leopardstown leg. Tom Mullins’ Powerville, already a winner of two legs of the series, bids for a third success, while other winners of previous races in the series who will bid for the first prize of €72,000 include Johnny Murtagh’s Beach Wedding, Noel Meade’s Cocohulababy, Tom Cooper’s Lisard Lady and Tracey Collins’ Sollertia. Andrew Slattery’s Spiorad Saoirse is another Galway Festival winner, while Ball Girl, one of two from the Ger Lyons yard who was third in a Group 3 at the Curragh, and Michael Grassick’s Verhoyen, runner-up in a Listed race at Naas in May, are others who bring a good competitive level of form to the table. Twenty five horses remain in the €120,000 Foran Equine Irish EBF Auction Race Final at Naas on Sunday after today’s forfeit stage. These include Tom Mullins’ Powersville who has already claimed two races in the series in the colours of his wife Helen. 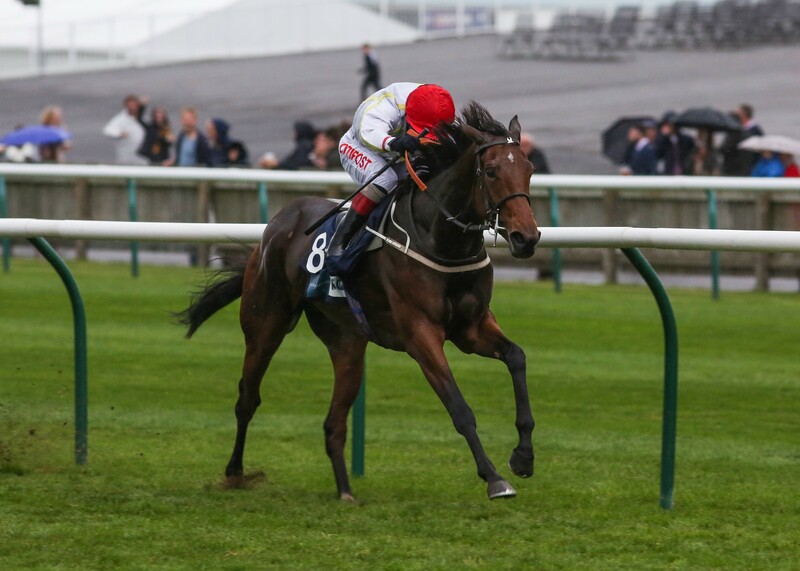 There is strong British interest in the race for the first time with Rufus King from the Mark Johnston yard still in the mix while Apple Anni is set to represent Mick Channon. Other winners of previous races in the series who could run for the first prize of €72,000 include Johnny Murtagh’s Beach Wedding, Noel Meade’s Cocohulababy, Tom Cooper’s Lisard Lady, Ger Lyons’ Poetic Light, Patrick Prendergast’s Red Persian, Tracey Collins’ Sollertia and Dermot Weld’s Yulong Gold Fairy, a winner at the Galway Festival and could be reopposed by Quizical and Captain Vancouver who followed her home that day. 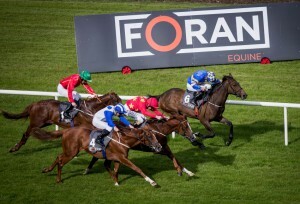 Andrew Slattery’s Spiorad Saoirse is another Galway July Festival winner, while Ball Girl, third in a Group 3 at the Curragh, and Verhoyen, runner-up in a Listed race at Naas in May, are others who bring a good competitive level of form to the table. 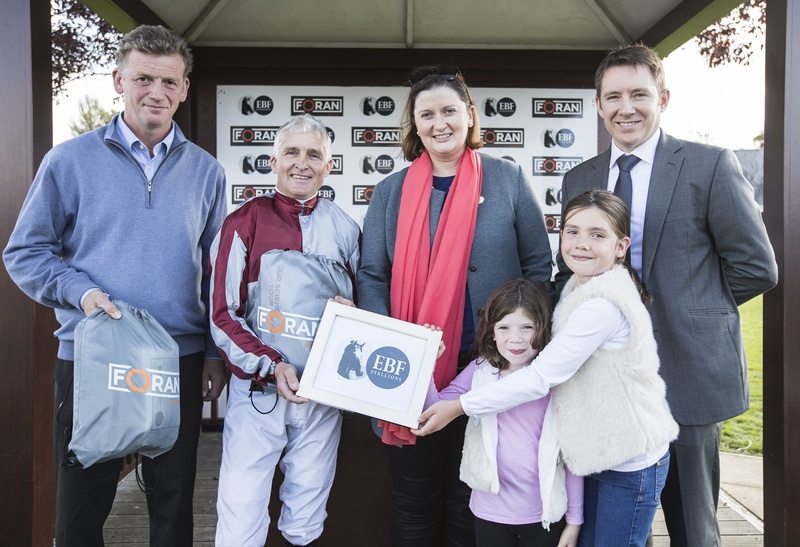 The second EBF Breeders’ Fillies Series came to a close today with the running of its final four races of the 20 race series, an initiative available to 3yo+ fillies with a total prize money value of £625,000. 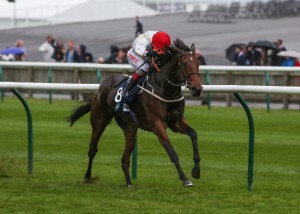 The four £50,000 open handicaps over six, eight, ten and 12 furlongs boasted competitive fields resulting in four very worthy winners from across the country. The Series has been specifically designed to give valuable opportunities to those fillies that fall just below black type level, encouraging their owners and owner-breeders to keep them in training rather than sell them for export or retire them. PIXELEEN (Pastoral Pursuits ex Ballyalla) won the six furlong British EBF Breeders’ Fillies Series Sprint Handicap Stakes for Somerset based handler Malcolm Saunders, as well as giving Jockey Adam Kirby the second leg of his winning double on the card today. The one mile British Stallion Studs EBF Breeders’ Fillies Series Handicap Stakes was won by PEACH MELBA (Dream Ahead ex Nellie Melba) who was one of three runners across the card who was eligible for the £25,000 Thoroughbred Breeders’ Association (TBA) bonus. * Peach Melba is also the fourth generation filly for Owner-Breeder, Lady Lonsdale’s, foundation mare. “The Owners are Breeders and they were actually thinking of retiring the filly in the middle of the season. I said well let’s not retire her until she stops earning her keep which she did very nicely today and she has also earned her place with a really nice stallion in the next year and that couldn’t have been better. She really deserves it as she is a decent filly, a model of consistency and I am sure she will make a great broodmare. The Hamdan Al Maktoum owned Neshmeya (Lawman ex High Heeled), was the very worthy winner of the British EBF Breeders’ Fillies Series Middle Distance Handicap Stakes over ten furlongs for Trainer-Jockey combination, Charles Hills and Harry Bentley. The final contest of the eight race card, the EBF Breeders’ Fillies’ Series #thisfillycan Handicap Stakes over 12 furlongs, was won by Cribbs Causeway (Rip Van Winkle ex Bristol Fashion) for Beckhampton based Trainer Roger Charlton. Formed in 1983, the British European Breeders’ Fund is funded mainly by UK stallion owners and has contributed over £31.5million directly in to the prize money of British Racing; supporting over 600 flat races and 85 national hunt races each season.